On Saturday, 12 March, 1932, a north westerly gale was blowing and a heavy Atlantic swell was running. When Angus MacKinnon, skipper of the lobster boat, Margaret, saw the inclement weather conditions, he woke his father, Cain, and requested his assistance as an extra hand on the boat. Though retired from fishing, Cain agreed. Angus’s younger brother Calum was also a crew member, but his father decided that he should not accompany them. 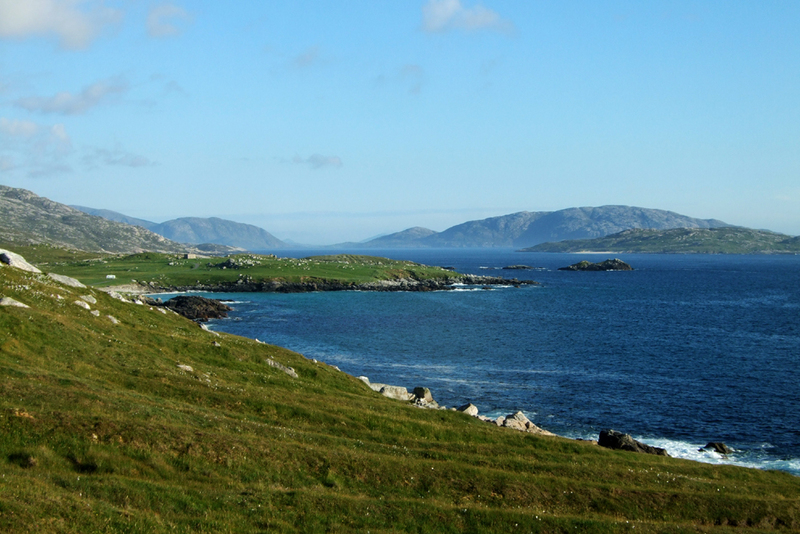 At daybreak on that fateful morning, two Brenish boats were launched at Molinish. Strong arms and robust backs were required to haul the boats down the shingle beach and out into the Atlantic swell. With their sails unfurled, one boat headed for the lobster pots they had set opposite Brenish while the Margaret headed in the opposite direction to their pots behind Eilean Mealista. The Margaret was seen dipping in the heavy swell and about to round Eilean Mealista but was never seen intact again. Paradoxically, the bad weather only lasted for a couple of hours and the rest of the day was calm. Some time later part of the wrecked Margaret was found wedged in a rock on the seaward side of Eilean Mealista. There was speculation that the mast had broken in the severe weather conditions consequently resulting in the boat capsizing. Despite boats searching out at sea for days and local people scouring the sea cliffs, creeks, coves and seashore for miles around, no bodies were ever recovered, despite the boat having probably foundered close to the shore at Eilean Mealista. The failure to recover the bodies further grieved the people of Brenish and the whole parish of Uig and led to more anxiety for the families. The four men drowned in this tragedy were Cain Mackinnon, 18 Breanish, and his son Angus (Aonghas Cain) , Malcolm Macritchie, (Calum na Shippolag) 15 Breanish and John Buchanan (Iain Calum Eoghainn), 14 Breanish. Angus Mackinnon had served with the Royal Naval Reserve in World War I and was engaged to be married. His 18-year-old brother, Murdo, R.N.R. (T) had been drowned in the Iolaire disaster on 1 January, 1919, coming home on New Year’s leave from H.M.D. Eddy. Malcolm Macritchie was single and nineteen or twenty years of age. His uncle, John Macaulay, 2 Breanish, was a regular crew member of the Margaret. However, at this time John was building a house and not going to sea. It is likely that Malcolm may have been in the boat as a hand in place of his uncle. John Buchanan left a widow and a young son and daughter. His wife was pregnant at the time and gave birth to a son some months after he was drowned. Buchanan had served with the Royal Navy Division in World War 1 and was captured by the Germans at Antwerp in 1914, during Churchill’s ill-conceived attempt to defend that city. For the rest of the war he was a prisoner in Germany. The loss of these four men was a devastating blow for Brenish . This small village already had ten men killed or wounded in World War I, with two of them drowned on the Iolaire. In those days when crofting and fishing was labour-intensive, the loss of manpower was an extra burden all the families in the village had to bear. It is said in this piece that boats were launched from Molinginish; however, this was a village on the east coast of Harris, across from Reinigeadal. Would Mealista be the place referred to? No, it should be Molinish (just before Mealista). Have corrected, thanks.